Educating policymakers and funders about the issues facing the workforce and the solutions to address these issues is key to the ongoing success of WAGE$. If you are looking for ways to make the case to bring WAGE$ to your state, look no further. The information and tools below can help early childhood stakeholders make the case for licensing WAGE$ in their state. Before first grade, a child may spend over 10,000 hours in child care. 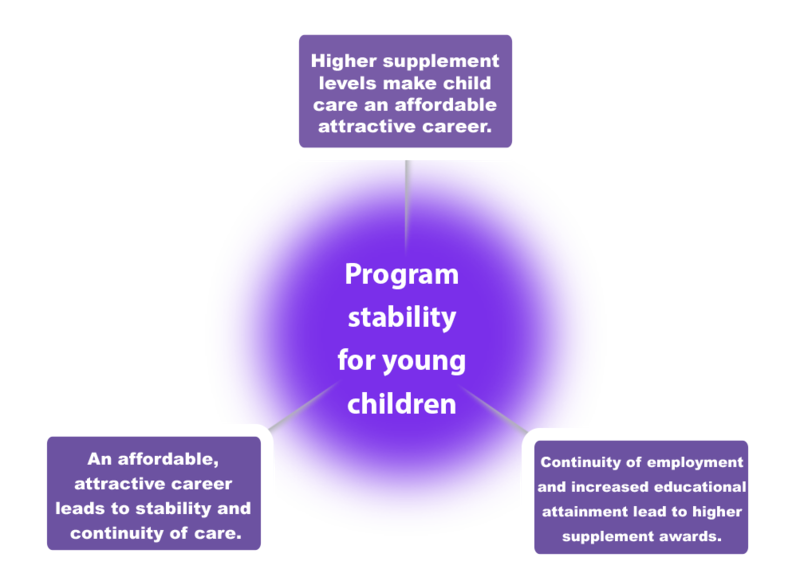 Research tells us that children enrolled in a good early care and education program in the first five years of life are most likely to be in a highly skilled job or in college at age 21. Ensuring quality early care and education for children today ensures a viable workforce for the future and a strong American economy in the long run. The quality of early care and education a child receives is directly linked to teacher education and compensation.